True Hockey 6.0 Senior Composite Goalie Stick (2017) | Sports Etc. The A6.0 SBP remains one of the lightest sticks in its class with an industry leading balance point. 20% higher impact STRENGTH in the shaft section versus its predecessor. 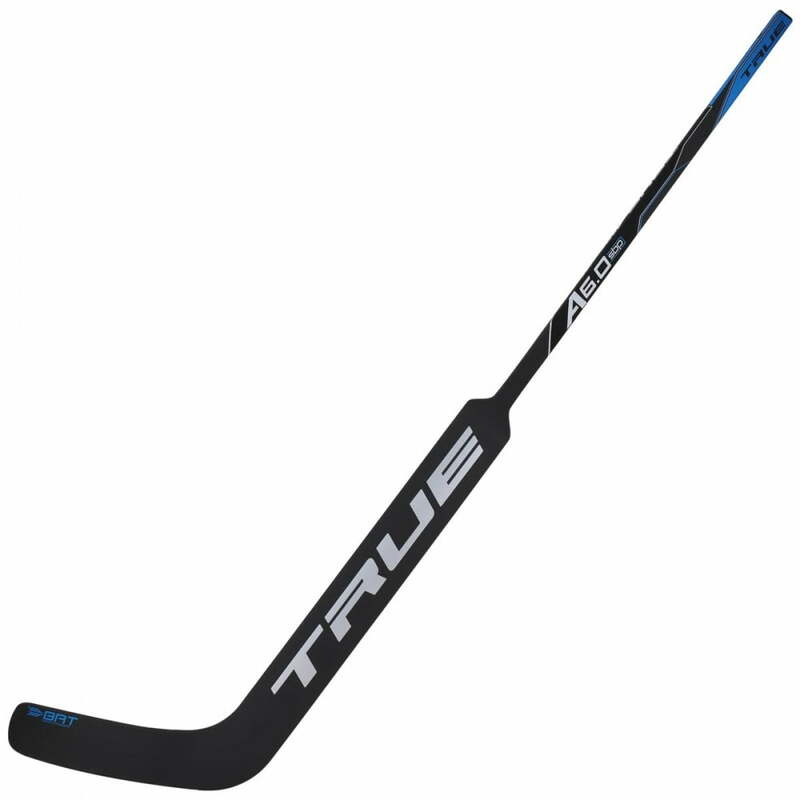 TRUE Hockey’s patented BRT blade technology. Seamless braided tubes located at the center and bottom of the blade produce the longest lasting and most consistent blade we’ve ever made, up to 50% stronger than its predecessor the AB II technology. TRUE Hockey’s industry-leading patented Axenic Technology for unparalleled weight, balance and consistency. Viscoelastic dampening layer to dampen vibrations for “wood-like” feel and rebound control. Made TRUE for: Any goalie looking for the advantage of an ultra-lightweight composite design with “wood-like” feel and rebound control.